1911 — The Red Tower. Oil on Canvas. Orphism style. 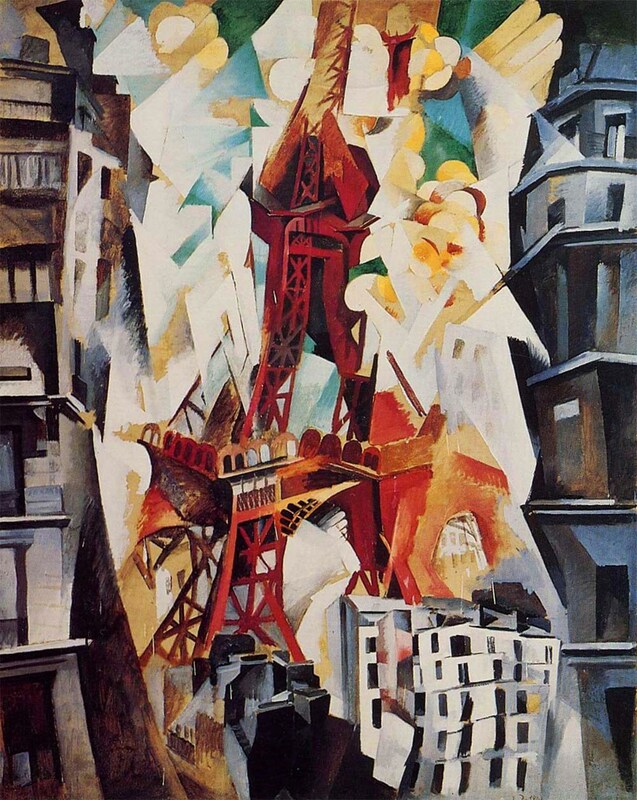 Robert Delaunay (1885 – 1941). Art Institute of Chicago, Chicago, IL, USA. 1946– Apartment Houses, Paris. Oil with sand and charcoal on canvas. Raw Art (Art Brut) style. 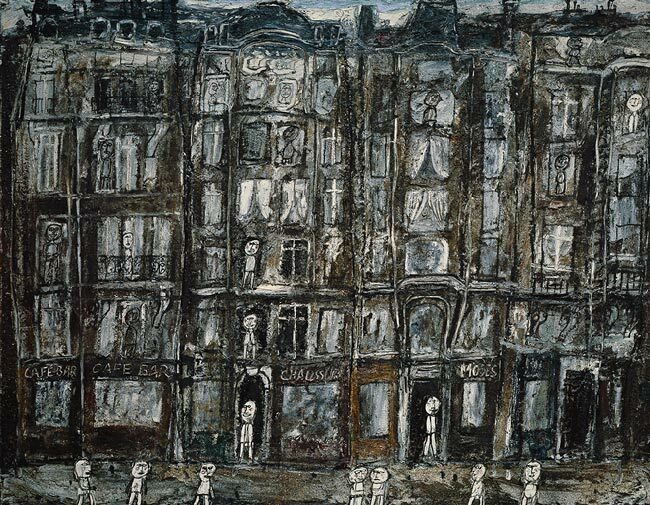 Jean Dubuffet (1901 – 1985). 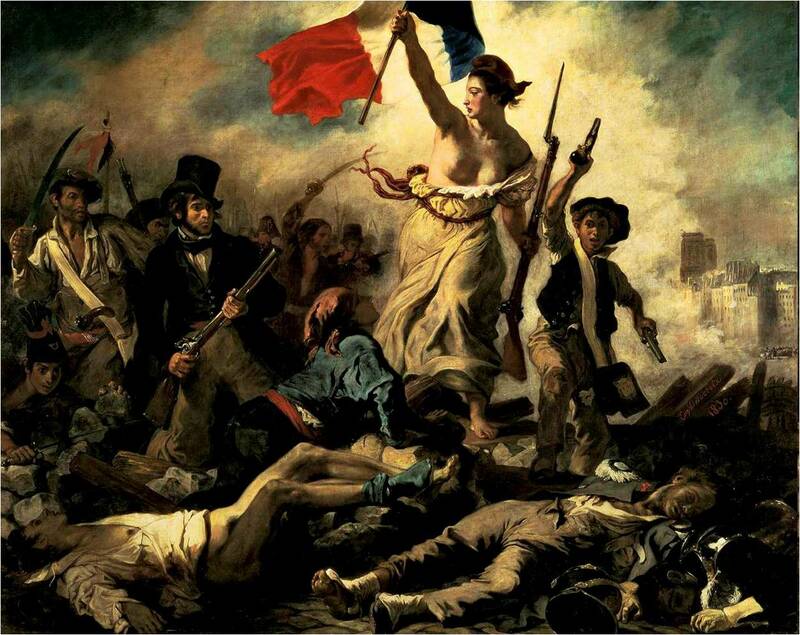 Held by the Metropolitan Museum of Art, New York City, USA. (Not on display).